(Anchorage) — Alaska Department of Fish and Game Commissioner Doug Vincent-Lang announced two director-level appointments as he continues to fill key leadership roles at ADF&G. Lang has named Dave Rutz Director of the Division of Sport Fish. Sam Rabung has been appointed the Director of Commercial Fisheries. Rutz has worked in fisheries research and management for nearly 40 years. 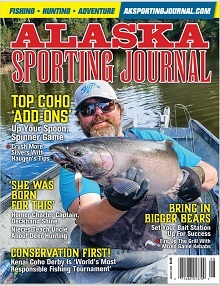 He spent much of his career at the department’s Division of Sport Fish as an area management biologist in the Northern and Western Cook Inlet Management area. He has also led the department’s Alexander Creek Invasive Northern Pike Removal and Restoration project and worked around the state in various research and management roles. He graduated with a B.S., Wildlife Fisheries Emphasis, St. Cloud State in Minnesota in 1980. “I’m honored to be appointed and look forward to working with sport fisheries staff and department leadership to carry out the department’s mission to protect and enhance fisheries resources for the benefit of all Alaskans,” said Rutz. Rabung graduated with honors in 1987 from Sheldon Jackson College with a B.S., in Aquatic Resources, Fisheries Science and Aquaculture Emphasis. A lifelong Alaskan, he attended A.J. Dimond High School in Anchorage, where he graduated in 1982. He serves as a voting member on all Regional Planning Teams statewide and as vice chair of the Governor’s Mariculture Task Force. He will be based in Juneau.